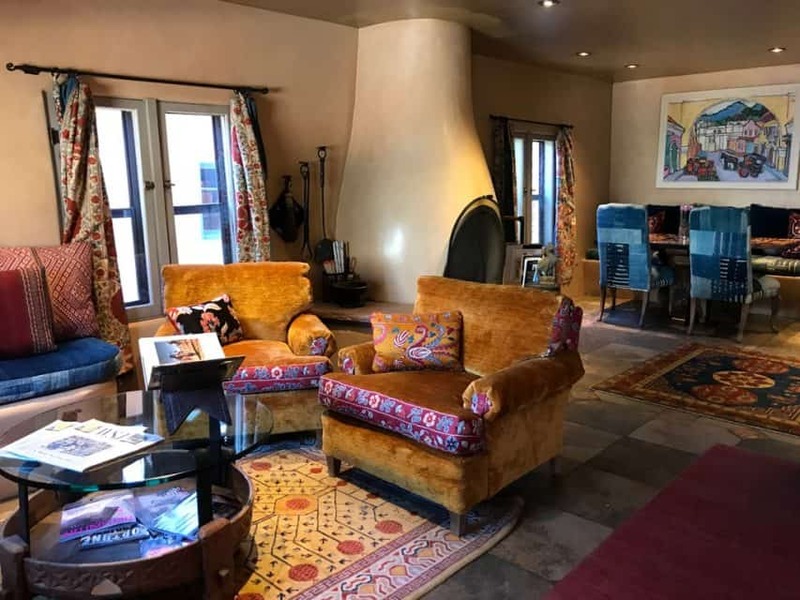 It is no surprise that the Inn of The Five Graces lies squarely in New Mexico, known as the “Land of Enchantment.” With a clearly magical touch, internationally acclaimed importers, Ira and Sylvia Seret of Seret & Sons have created a living masterpiece for all to enjoy. 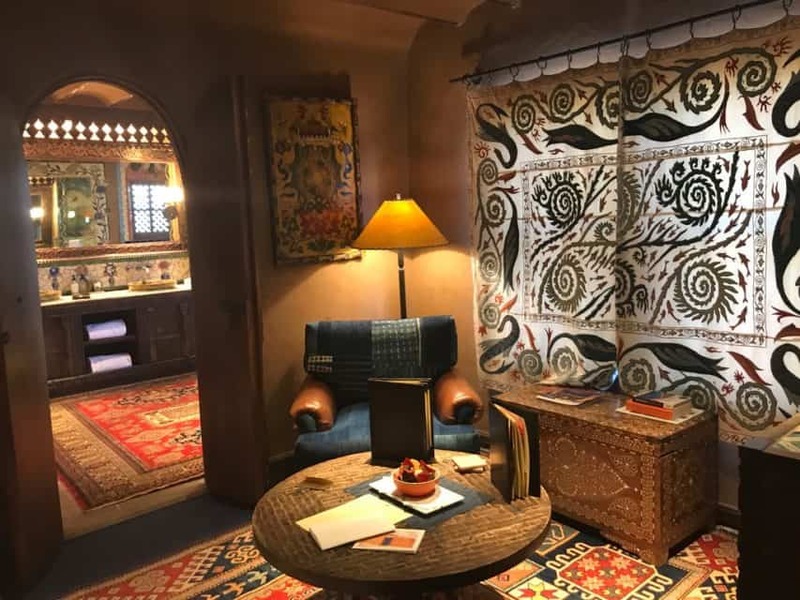 Each of the 24 unique suites in this small luxury hotel embraces the beauty and bold color of richly exotic furnishings from Central and South Asia while skillfully reminding you that you are in Georgia O’ Keefe territory. This is a territory of richly painted desert landscapes and artistic color, line, and composition. 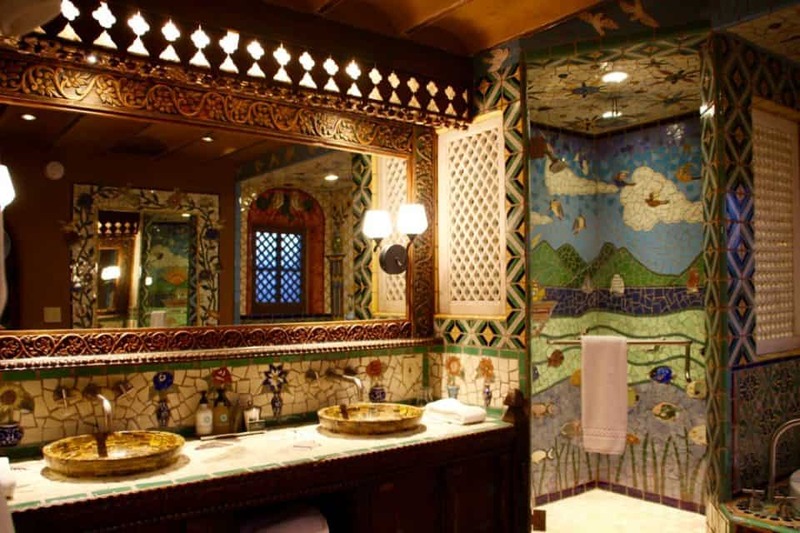 Sylvia Seret, a noted mosaic artist, has skillfully turned every bathroom and kitchen area into a showpiece of her talent. 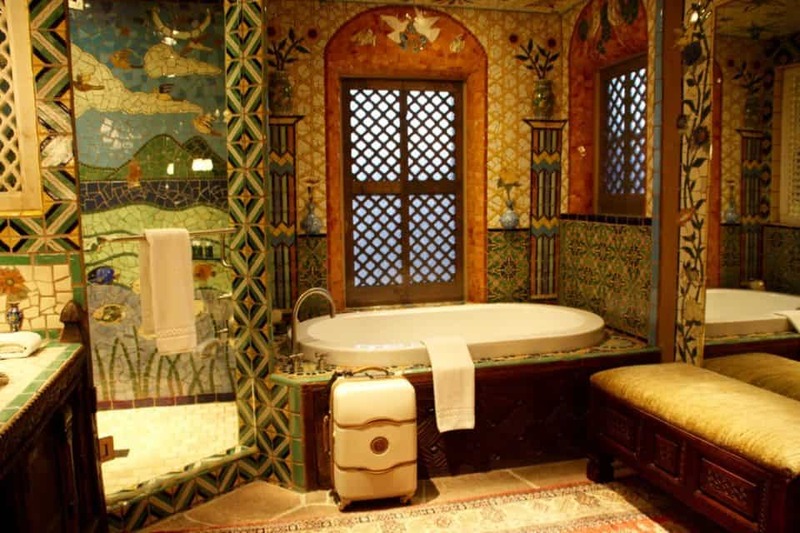 My gorgeous Delsey Chatelet luggage compliments this amazing mosaic bathroom at Inn of the Five Graces. Originally known as “Serets’ 1001 Nights” this design hotel changed its name in 2002 to reflect it’s celebration of the art of life through the Eastern concept of grace via the five senses. 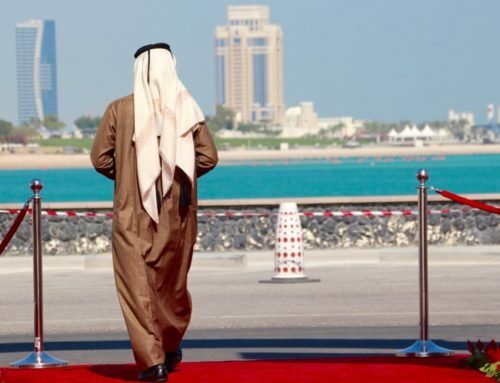 Hospitality is key, and from the moment you arrive, you become acutely aware that you are somewhere special. Every member of the staff is polite, thoughtful, and expertly trained. It is no wonder that this property is a member of the prestigious Relais + Chateaux group, the French hotel association that carries a revered name among luxury travelers. 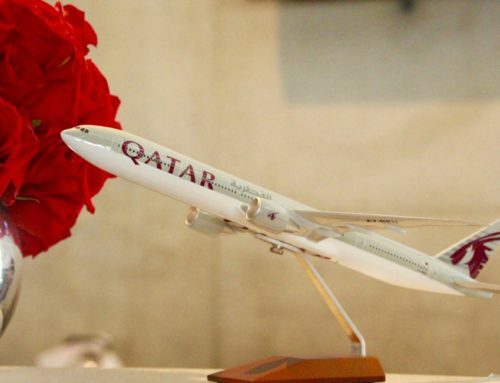 To qualify for inclusion, an awarded 5-star quality hotel must offer exceptional service and unforgettable experiences. 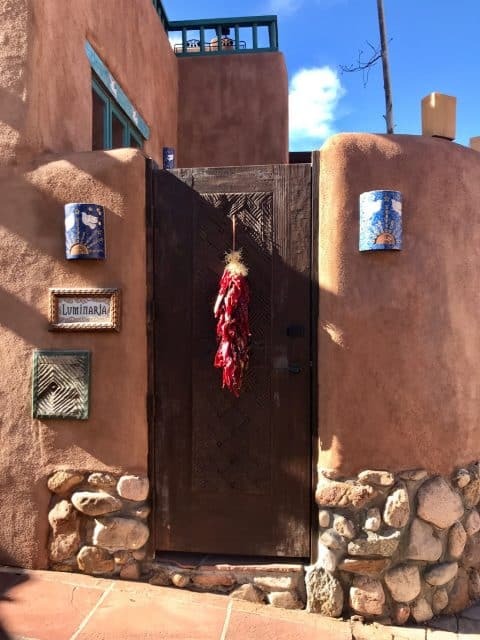 You are encouraged to valet your magic carpet (or vehicle) and although you will have to fight the urge to stay put on the property, the enchantment of Santa Fe and ease of walkability beacons. You can feel the history in the architecture of these old adobe walls and towering cottonwoods that make up the Inn of the Five Graces. Some of the Inn’s stone and fountains date back to the 1600’s. 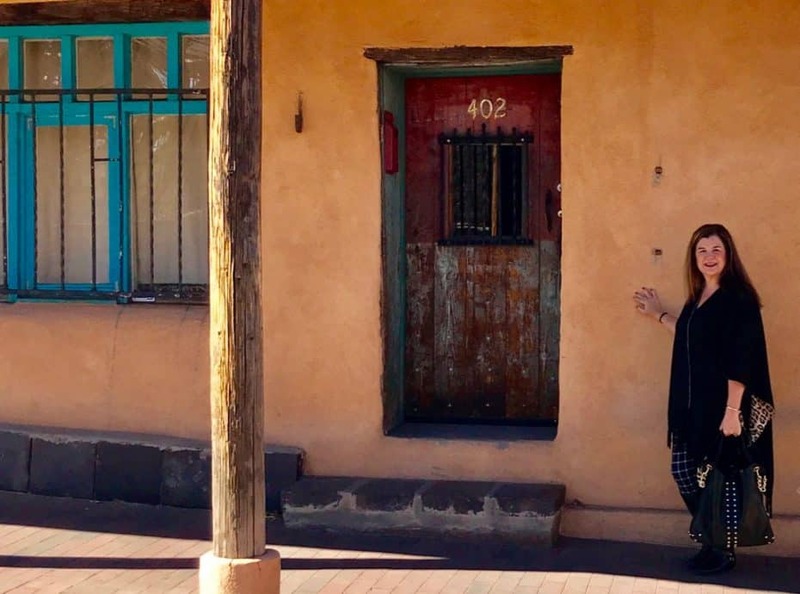 From Conquistadors and Pueblo Indians to the state capital of a Territory and the Santa Fe trail, the historic oasis straddles two sides of a quiet one-way street. Which happens to be the oldest inhabited block in America! Set only three blocks from the Santa Fe Plaza, from here you can walk to most tourist attractions in Santa Fe. 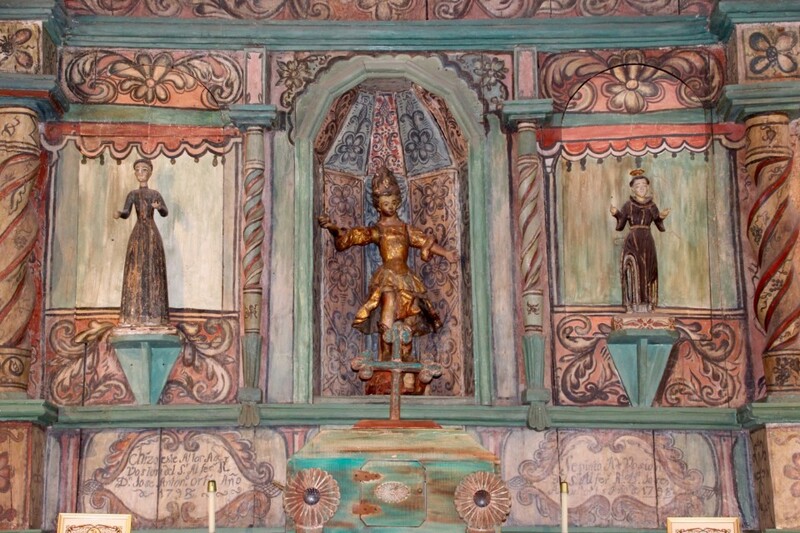 It is only a stone’s throw to the oldest church in the United States, the San Miquel Mission. 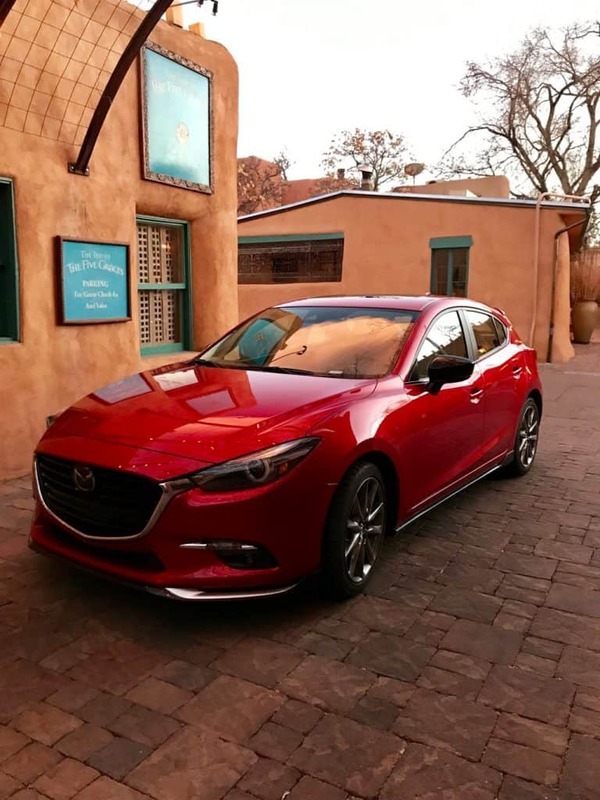 It is also nearby the New Mexico State House which houses one of the most incredible New Mexico art collections of sculpture, paintings, and antiquities. The Georgia O’Keefe Museum is due West and the mouth of famed half-mile stretch known as Canyon Road is due East. Yet still close enough to walk your shopping bags full of art, jewelry, and treasures back to your room! After a heavy day of shopping, an Ayurvedic treatment brings back the balance of mind, body and spirit, and what better place for this to happen than the High Mountain Tibetan treatment room? Although the Spa is currently under renovation, Ayurvedic practitioners are on call in this exquisitely adorned refuge or can come directly to your room to bring your body back to a healthy balance. With the elevation of Santa Fe at 7000 feet above sea level, a trip to the spa helps you feel that much closer to heaven. A “High Mountain Hydration” session will quench your skin’s thirst with scented steamed towels, emollient oils and full body exfoliation. 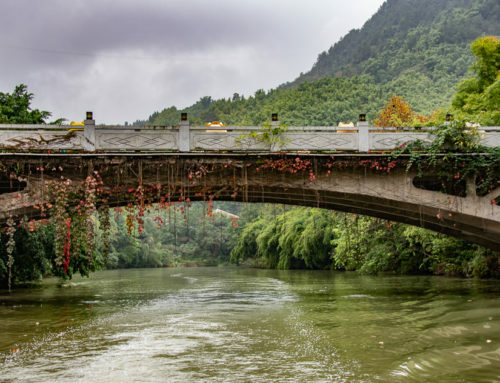 The “Respiratory Ease” will counter the effects of the high altitude by using reflexology to open the lungs and allow full absorption of oxygen. This treatment will ease any altitude sickness and eliminate exhaustion. For those who enjoy a more rigorous Western approach to health like my husband, the fitness center on the property houses modern exercise equipment for cardio and weightlifting. Professional trainers and yoga instructors are available upon request. Guest access is 24 hours. An outdoor lap pool is also open during the warmer months. Only breakfast is served at the Inn of the Five Graces. The complimentary fare is the highlight of many a guest’s stays. Frittatas, fresh fruit, oatmeal, blue corn waffles, huevos rancheros can be carried on a tray to your room or taken where served on the central courtyard patio. 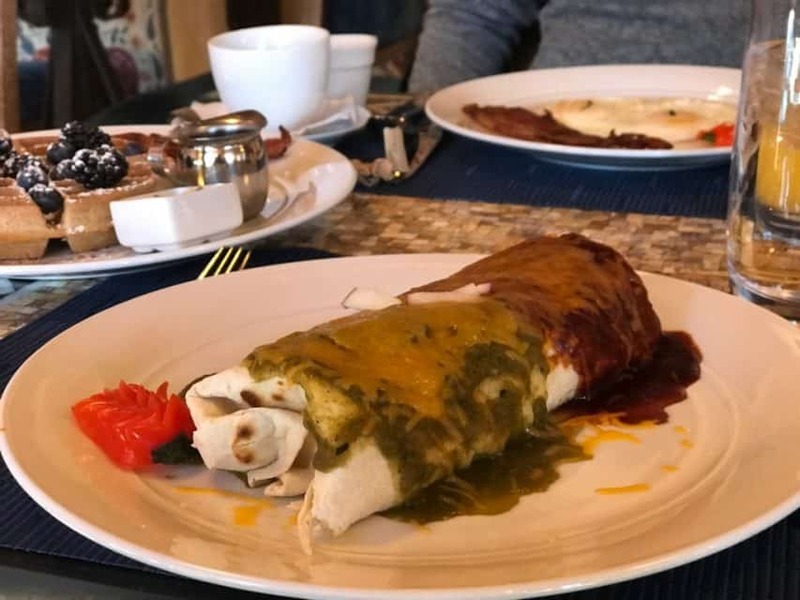 This breakfast hands down was the most delicious I had during my visit to Santa Fe. The intimate knowledge of the server about the dishes available was outstanding. Even though there is no restaurant on the premises, you will never go hungry. 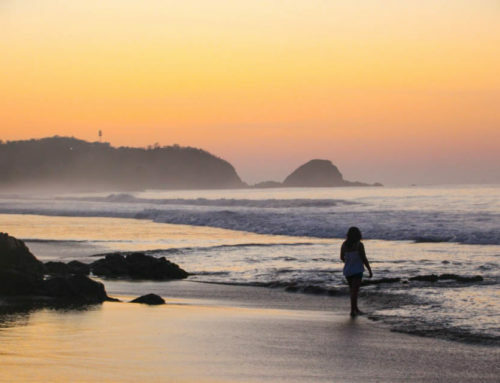 There are coffee makers and electric tea kettles in every room, and homemade chips and salsa, minibars stocked with the most delectable snacks seem available at every turn. There is also a wine and cheese happy hour, and turn down service with warm cookies at night. The nearest dinner meal awaits you at the 315 Restaurant & Wine Bar which is just adjacent to The Inn of Five Graces. 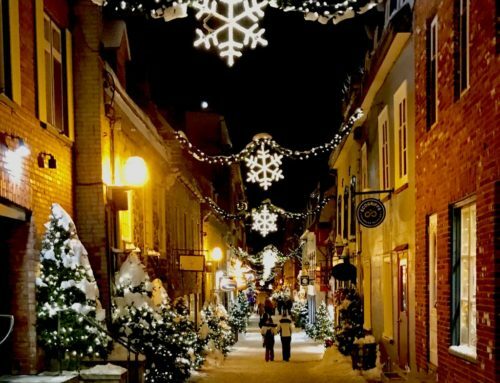 It is known by visitors and locals alike as the place to go in Santa Fe for classically prepared French cuisine. Chef Louis Moskow, a New York City native and a graduate of The Culinary Institute, cooked in New Orleans, Bavaria, and Italy before becoming the owner and executive chef in 1999. Meals can be enjoyed in the restaurant or the comfort of your own room. 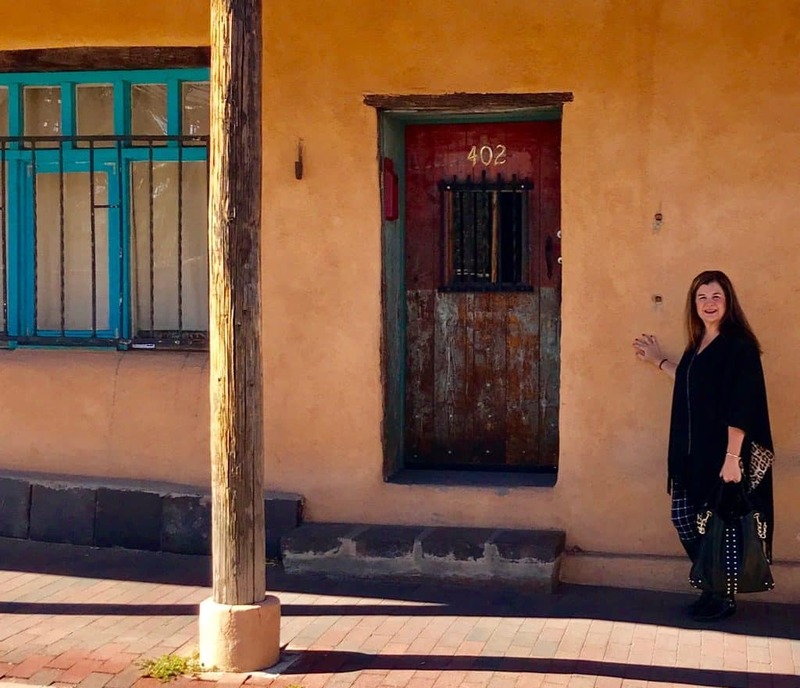 There are over 100 restaurants in downtown Santa Fe, all just a pleasant stroll from the property. 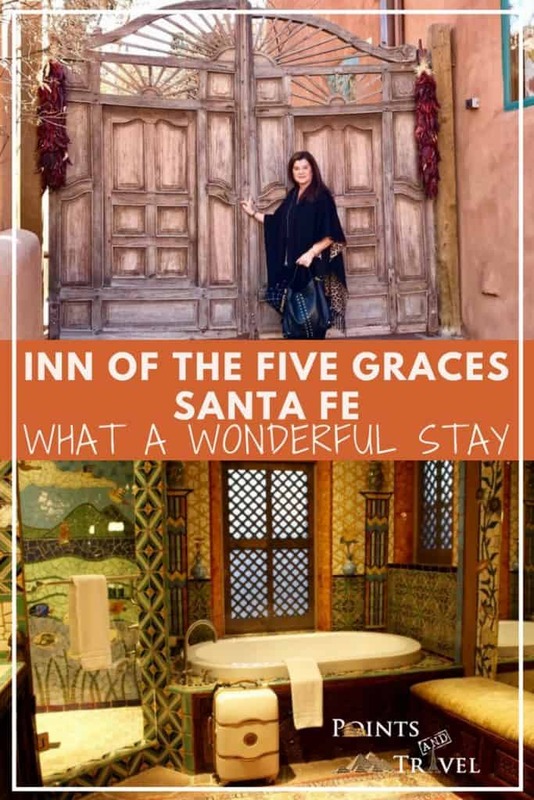 Disclosure: As is common in the travel industry, I was provided with accommodations, meals and other compensation for the purposes of review by the Santa Fe Tourism Board and the Inn of the Five Graces. While it has not influenced my review, PointsandTravel.com believes in full disclosure of all potential conflicts of interest. All Photos by the author.